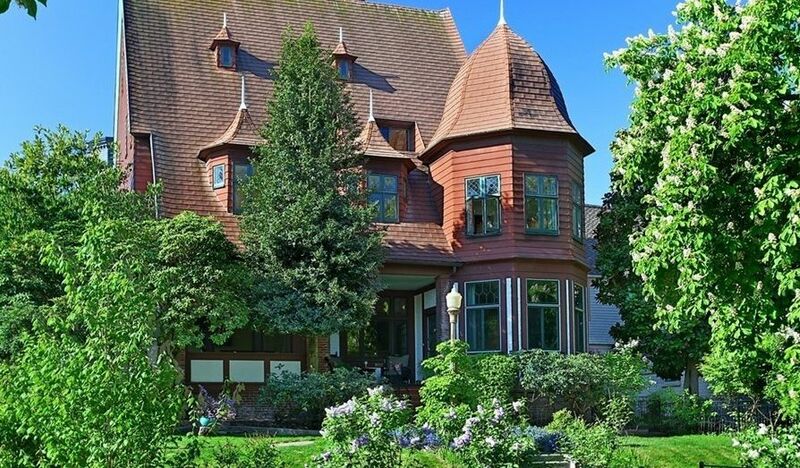 Known as the Cutter House, this Tudor home was built in 1893 by Kirtland Cutter, one of the best-known Northwest architects of the time. 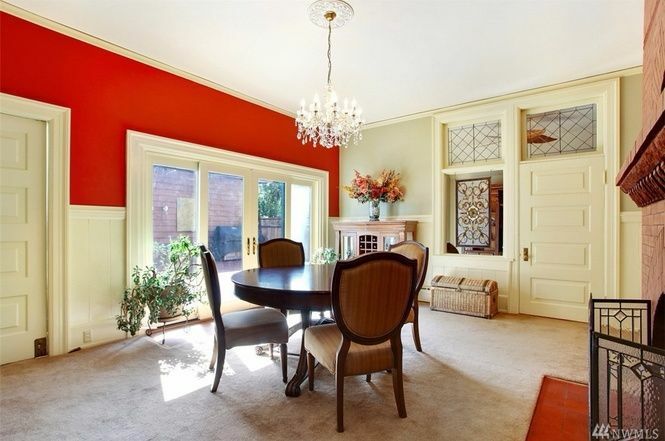 The home features 10' ceilings in all the rooms, and it has been impeccably cared for over the years. In typical Tudor fashion, the home also features leaded windows throughout. 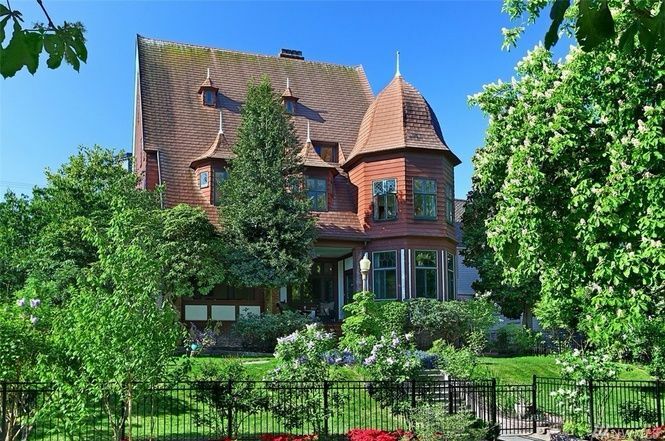 Other architectural highlights of the exterior include the steep, pitched roof, the unusual dormer windows, and the beautiful turret on the right! 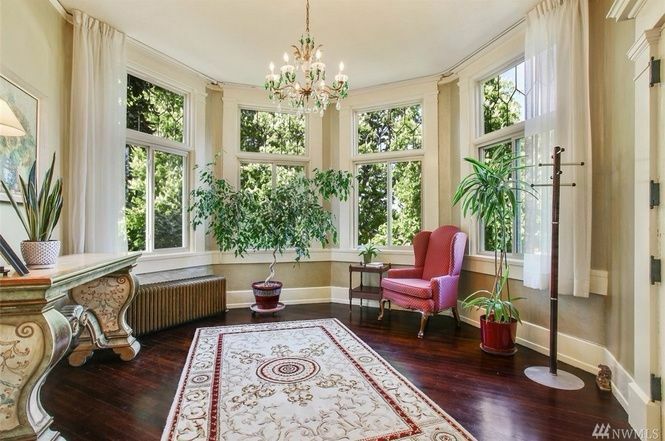 Visitors to the home are greeted by this lovely octagonal foyer. The large, leaded windows are reminiscent of a simpler time, and the chandelier in the center of the room adds a dash of Victorian charm. 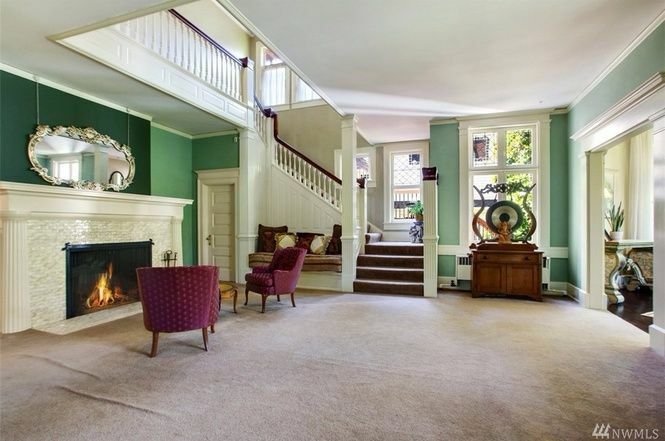 The living room is dominated by an elegant, sweeping staircase made of hand carved black walnut, and further enhanced by a large, gorgeous fireplace. The large windows throughout the room fill the space with plenty of natural light. 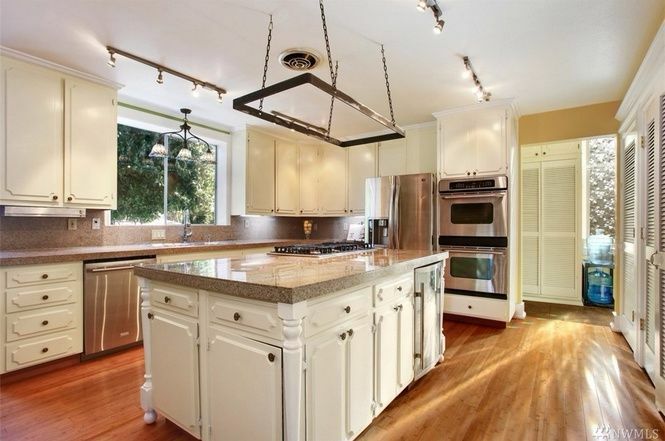 With its large central island, the homeowners probably never have to worry about having too many cooks in this kitchen! The room has recently been updated to include granite counter tops, stainless steel appliances, and bamboo hardwood floors. In the dining room, a beautiful crystal chandelier takes center stage above the dining table. The bricks seen in the right of the photo belong to a large brick fireplace and the large double doors off to the left lead to the patio outside. Known as the garden room, this intimate space is the perfect spot to enjoy an after-dinner drink. 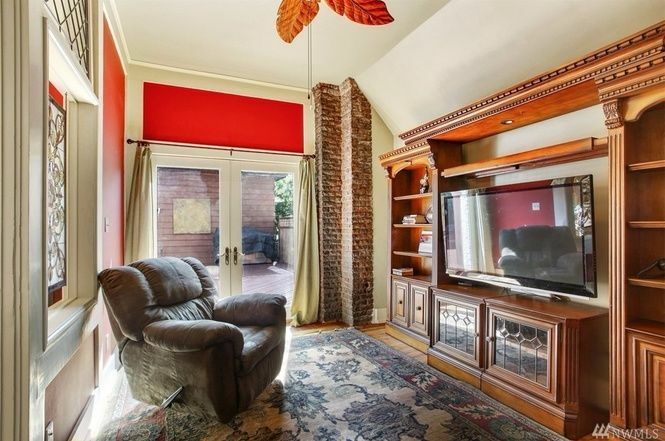 The beautiful stained glass window seen on the left of the photo separates this room from the dining room, and the brick columns give the space a real Old World flair. 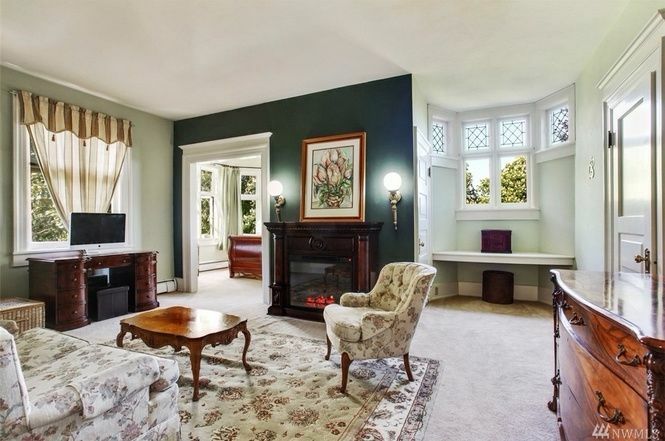 Decorated with traditional Victorian charm in mind, this sitting room is the central hub of the large master suite. The room is perfect for all seasons; the fireplace keeps the room warm during cozy winter months, and the built-in window seat is perfect for dreaming away warm summer afternoons. 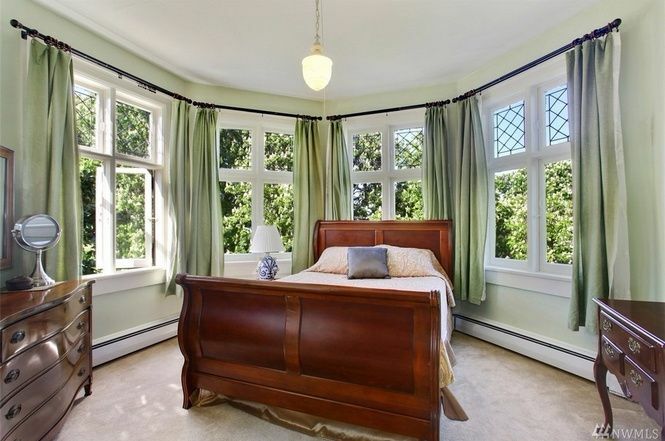 This charming master bedroom is found just off the sitting area, tucked away in a bow window with a gorgeous view of the foliage outside. It's just perfect for anyone who likes to be woken up by the sun streaming in through the windows! 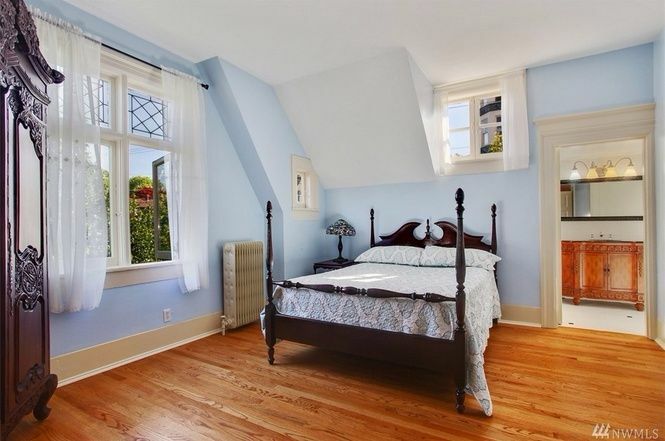 Here we have another one of the home's six bedrooms, which has an entirely different character from the one seen above. The walls have been painted a delicate blue, giving the room a decidedly light and airy feel. 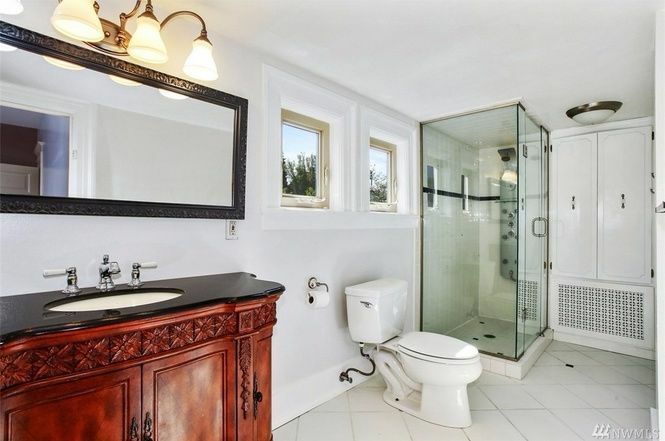 This bathroom has been beautifully updated with white tile floors and a glass stand-up shower, but the gorgeous wood vanity ensures the room keeps a bit of its original Victorian charm. What did you think of this gorgeous Tudor home? Let us know in the comments, and be sure to share this article if you loved it!